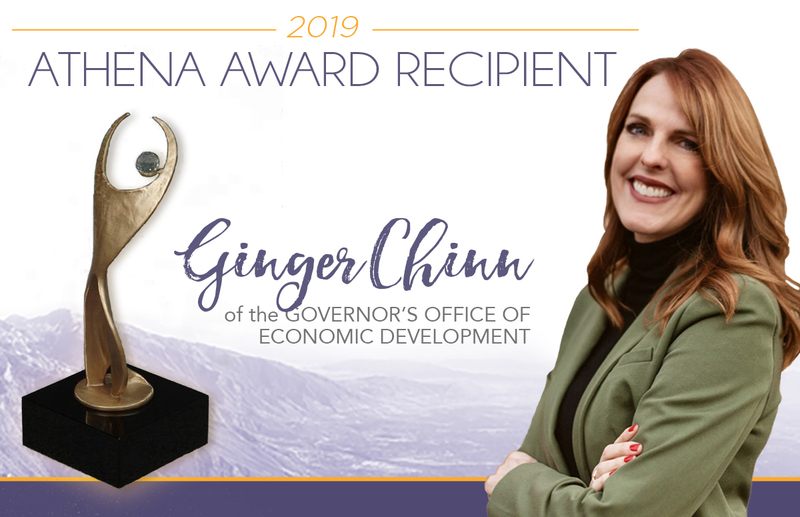 The Davis Chamber of Commerce Women in Business Committee announced today that the recipient of their 2019 Athena Award is Ginger Chinn with the Utah Governor’s Office of Economic Development (GOED). The award will be presented at their annual Athena Luncheon to be held on February 21st, 2019 at 11:30am at the Davis Conference Center in Layton. • Demonstrate excellence, creativity, and initiative in their business or profession. • Provide valuable service by contributing time and energy to improve the quality of life for others in the community. • Actively assist women in realizing their full leadership potential. Ginger Chinn serves as the managing director for urban and rural business services for GOED. As managing director, Chinn directs a strategic growth plan for Utah’s industry cluster program and manages GOED’s eight rural programs throughout the state. Chinn was previously the vice president of external engagement and economic development at the Davis Technical College. In this role, she directed several areas of the college including Custom Fit Training, employer and continuing education, and operations at the Davis and Morgan County Business Resource Centers. 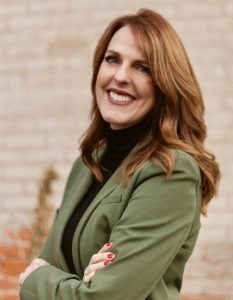 Ginger is very involved in the community and serves on many organizational boards, including the Davis Education Foundation, Women Technology Council, Family Owned Business Alliance, Utah State Workforce Development Board, Salt Lake Chamber’s Women’s Business Center, among many others. Ginger is a past chair of the Davis Chamber of Commerce Executive Board. She is a member of Top of Utah Military Affairs Committee and currently serves as honorary commander for General Stacey Hawkins. Chinn lives in Layton with her husband, daughter, and two dogs. She enjoys running, hiking, traveling, reading, and learning about new cultures. The Davis Chamber of Commerce Women in Business Committee is proud to honor Ginger with this prestigious award for which she is so deserving. For more information, to sponsor the event or RSVP for the luncheon, please visit the Davis Chamber of Commerce website at DavisChamberofCommerce.com or call 801-593-2200 or email lindsey@davischamberofcommerce.com.